One of my favorite parts of summer is going to the farmer's market or grocery and seeing all the beautiful fruits and vegetables as they come into season. From plump peaches, succulent figs, the rainbow of heirloom tomatoes, to melons perfect for chilling and getting us through the daily grind of triple digit Texas temperatures, it's a feast for both the eyes and the mouth. Now for a majority of the year, I don't tend to eat very much fresh fruit. I don't crave it and so I don't feel compelled to buy it. But once summer hits, my body and my tastebuds completely change gears and I find myself drawn to bounties of fruit the summer season has to offer. 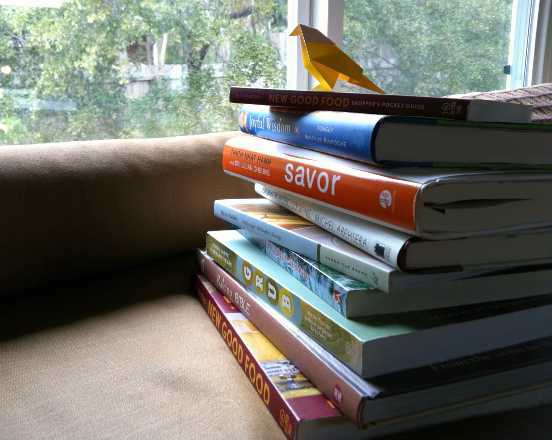 And that was how today's recipe came to be. I was at the grocery and upon entering the produce area, certain fruits and vegetables started calling my name. Of course, they're not actually saying my name, but I gravitated towards them: papaya, cucumber, grapefruit, kiwi, banana, and cantaloupe. 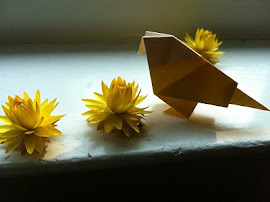 I wasn't exactly sure what I was going to do with all of them, but I placed them in my bag all the same and away we went. 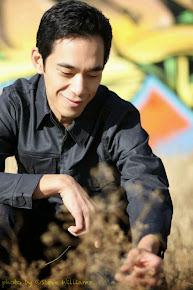 Once I got home, I let the dogs out and took a quick stroll through my little garden of flowers, vegetables, and herbs. 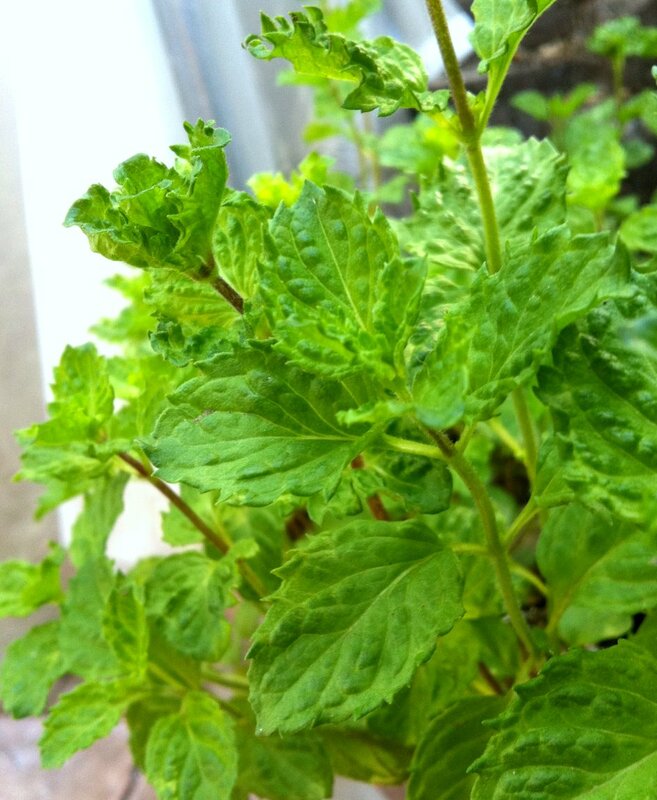 The curly mint and sweet basil were reaching to the sky and thriving despite the oppressive heat. 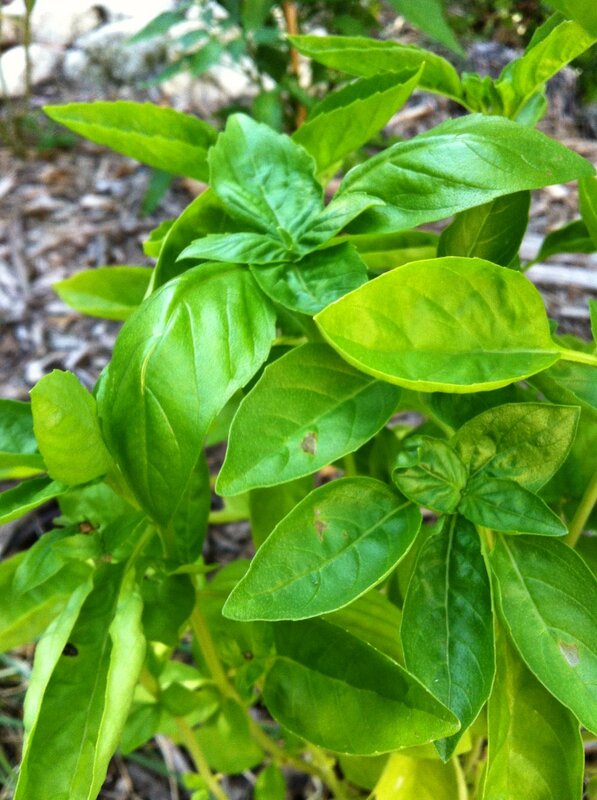 I placed one of the basil leaves between my thumb and index finger, gently rubbed them together, and deeply inhaled the grassy licorice scent. 1. 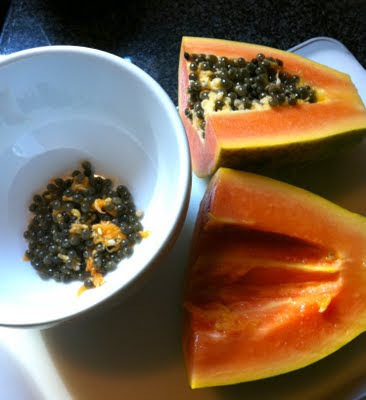 Cut papaya in quarters and scoop out seeds, reserving some for garnish. 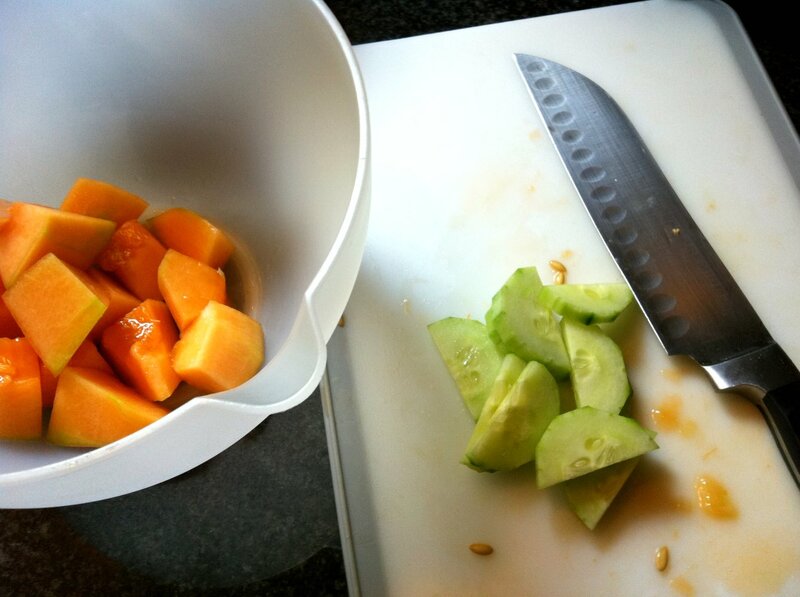 Cut quarters in half lengthwise, cut eighths in half lengthwise one more time, and then remove skin and cube papaya. 2. Do the same with the melon. 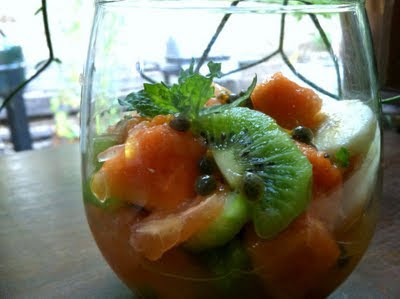 I used cantaloupe, but honeydew, crenshaw, or canary melon will also work nicely. 3. Peel cucumber and slice. 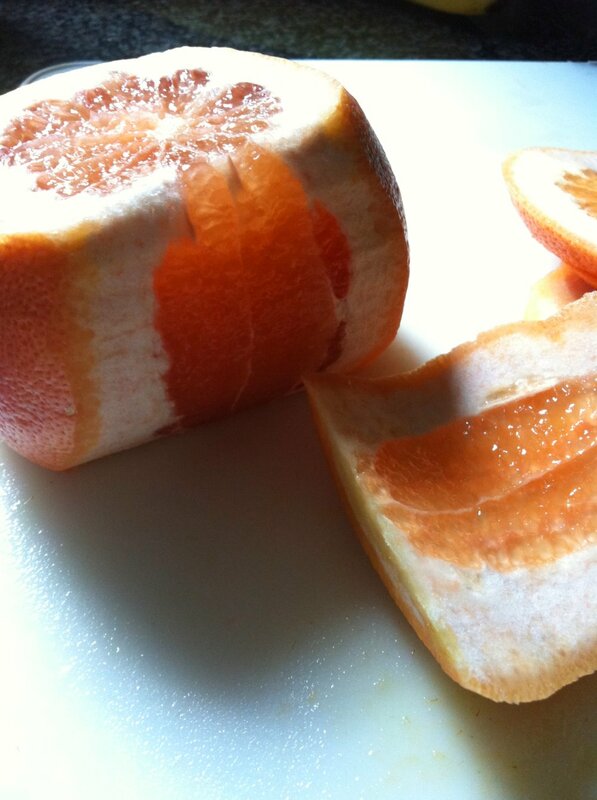 Cut slices in half to make half-moons. 4. Cut kiwi into quarters. 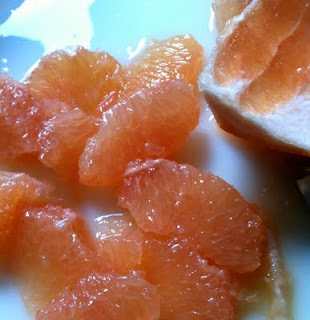 Before peeling, slice into half-moons as well and then carefully cut away skin. 5. 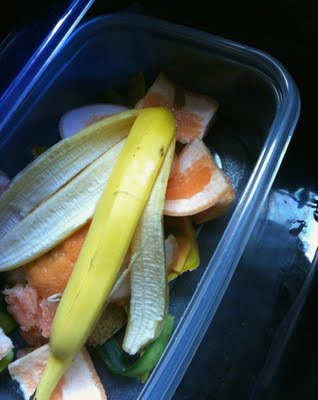 Peel banana and slice. 6. Place all fruit into a large bowl. a. Start by slicing the top and bottom off, so it sits squarely on the cutting board. b. Then cut the rind away from top to bottom. 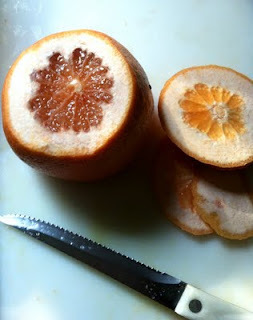 c. Holding the grapefruit in your hand, gently release each segment from the "skeleton" with a paring knife (the "skeleton" is the membrane separating the segments from each other). d. Squeeze "skeleton" over cut fruits. There will be a surprising amount of juice. 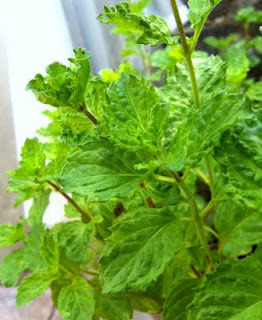 Do not add supremes just yet to the mixture as they are very delicate. 8. Chiffonade the basil and mint. Add to fruits along with the minced ginger and toss well. 9. Chill and allow flavors to come together. 1-2 hours is sufficient. Add supremes just before serving and garnish with a few papaya seeds and a sprig of either mint or basil. This is exactly how I like my food: vibrant colors, varied textures, heady aroma, with flavors that are provocative, bold, and soothing all at the same time. Today's recipe, beyond being delicious, is also exceedingly healthful (surprise, surprise). Taken together, the ingredients promote better digestion, are excellent sources of dietary fiber, and cover a large spectrum of vitamins and antioxidants. While it could be served at any time during a meal, I would recommend serving it as a later or final course, paired with a Chardonnay or Sauvignon Blanc, an unfiltered Junmai sake for a twist, or just a simple sparkling water. Remember that a fruit salad at any other time of the year won't taste nearly as good, so do yourself a favor and take advantage of the summer season. 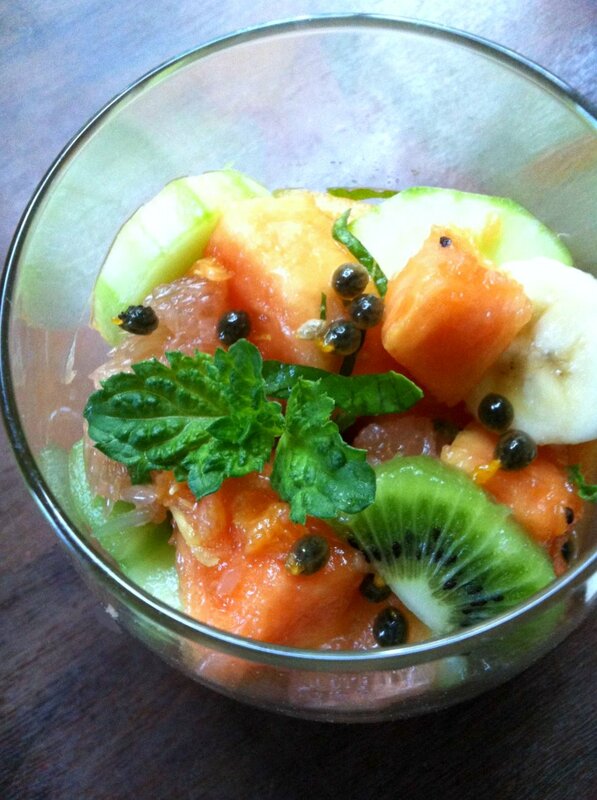 Find fruits that speak to you and make a beautiful salad that is refreshing and reinvigorating. A gift from summer to you.